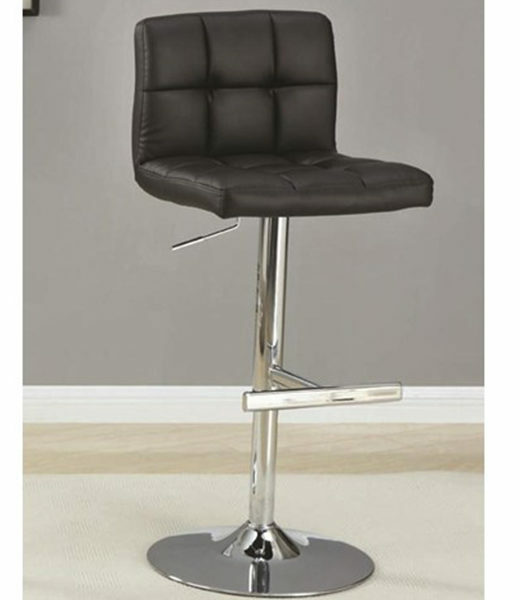 A thick metal pedestal and base with footrest finished in a high-polished chrome complete this barstool, promising long-lasting support and durability. Add this simple, modern bar stool to your pub table or bar for a distinctly contemporary style. Seat cushion and backrest are upholstered in a black, durable leather-like vinyl for long-lasting appeal. Underneath the seat is a lever, allowing the chair to extend height to 41.5″ for easy, individualized comfort. 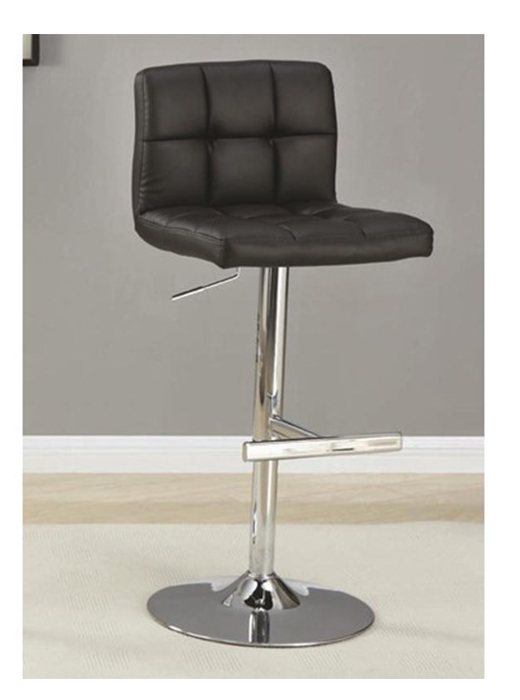 A thick metal pedestal and base with footrest finished in a high-polished chrome complete this barstool, promising long-lasting support, and durability.